I absolutely love, love, love the beach! It is a goal and dream of mine to own a beach house one day so that I can just head on over the beach anytime I want and have a place there to call my own. The beach is where I can really just let go of everything and it is where I feel closest to Jesus. I don’t get to go as often as I would like, but trips to the beach are my favorite way to vacation. What about you? With every good beach trip, you need a properly-stocked beach bag. Your beach bag is basically your life-line for your day at the beach and you have to be prepared for anything. 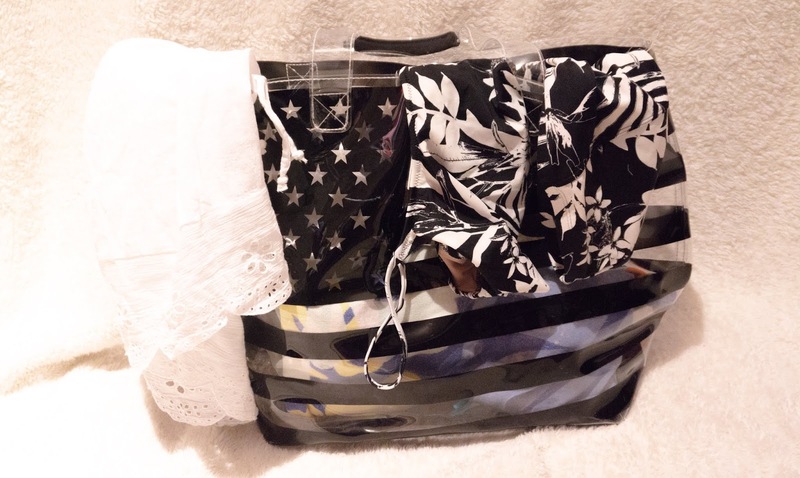 I love my beach bag, so I’m gonna share what I keep stocked in it at all times! This post does contain a few affiliate links. To pack your beach bag, you’ve first got to start with a beach bag. I’ve got one from Victoria’s Secret that I got a few years ago. It has the American flag on it, which I love! You always need to make sure you have a good pair of sunglasses. I always bring a cheap pair to the beach. You won’t see me on the beach with a pair of Ray-Bans because I wouldn’t want to lose them or accidentally scratch them up. You also won’t see me on the beach with a pair of Ray-Bans because I don’t own a pair, but even if I did, I wouldn’t take them to the beach. A towel and beach blanket are also really important to have in your bag! If you intend on using your towel to dry off, I wouldn’t use the same one you used to lounge on. If you have a beach blanket, use that to lounge on! Sand Cloud has some great beach blankets! You can use the code AmandaAlv25 for a discount! I don’t like to just be in my swimsuit before or after the beach, so I always make sure that I have a cover-up with me. I love this one that I just bought from Old Navy! I love a good tan, but sunscreen is also a necessity! You’ve got to keep your skin safe. To keep the sun out of your face, a big hat is also great to have in your beach bag. Lip balm with SPF is also important! 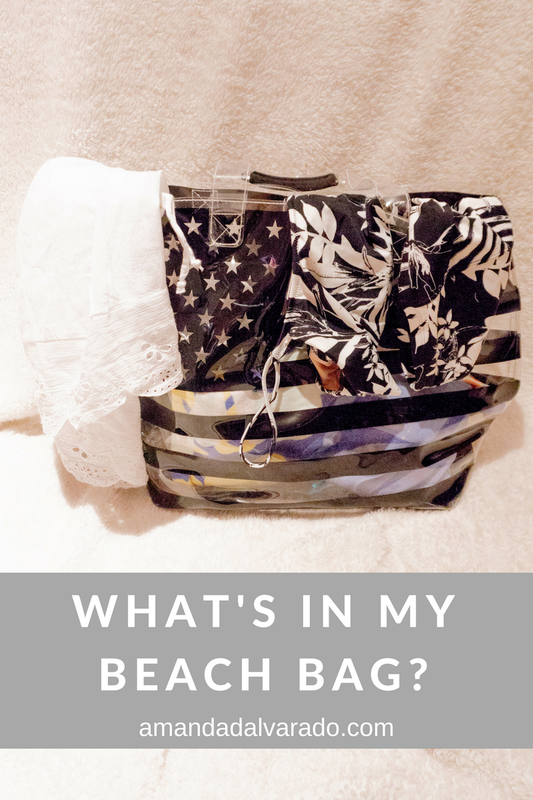 There are a few other items that I always have in my beach bag! You need good reading material for the beach! There’s no better way to escape than a good book. A portable speaker is also great! A cute pair of flip-flops is also a necessity! Sand is HOT! To keep my phone protected, I have this water-resistant, floating bag I keep it in. I love it and it was super cheap. You can also use a ziplock bag, but don’t take your phone in the ocean with you. That’s just not smart. What other essentials can I find in your beach bag? I’m so ready for a beach trip and hopefully, I can make that happen soon! Got any recommendations for beaches near Atlanta?